The Nippon Zelos line of light weight steel now includes an 80 gram model, the Zelos8. it has been exactly a year since I looked at the Zelos7. At that time I had not made the transition to looking at irons sets. I was looking only at 6 iron shafts. The graphic below shows the set images of the Zelos8 and the Zelos7. What we see is a moderate amount of “flighting” in the Zelos design. 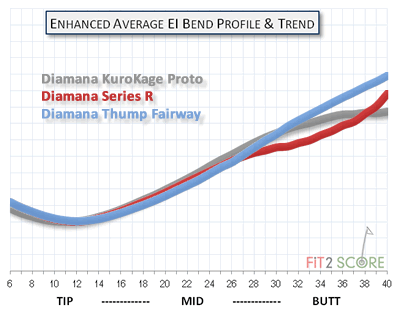 The longer irons have relatively softer, longer tip sections than the wedges. If you find light weight iron shafts fit your strength and style be sure to test the Nippon Zelos family of iron shafts. They are in my bag this year and my aging body is once again playing great golf. This entry was posted in Iron Shafts - Steel, Nippon, Russ Ryden - Fit2Score on May 26, 2015 by Russ.